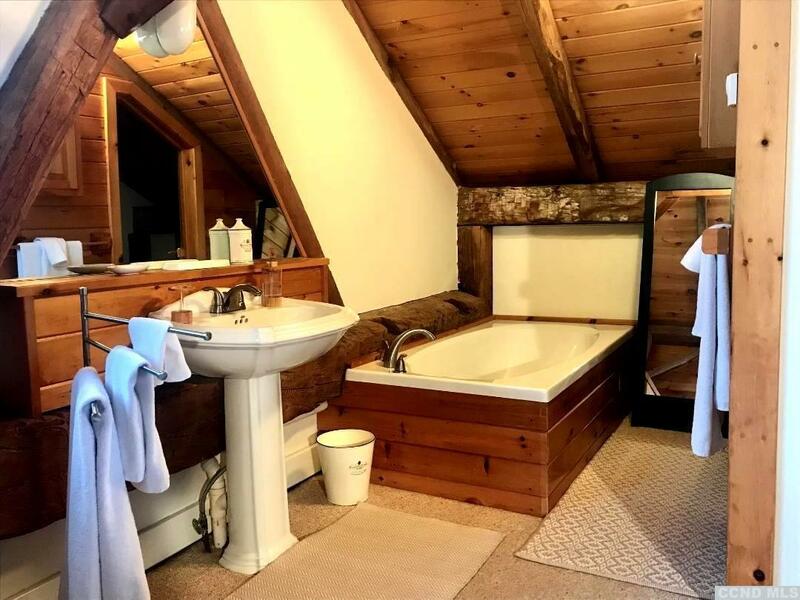 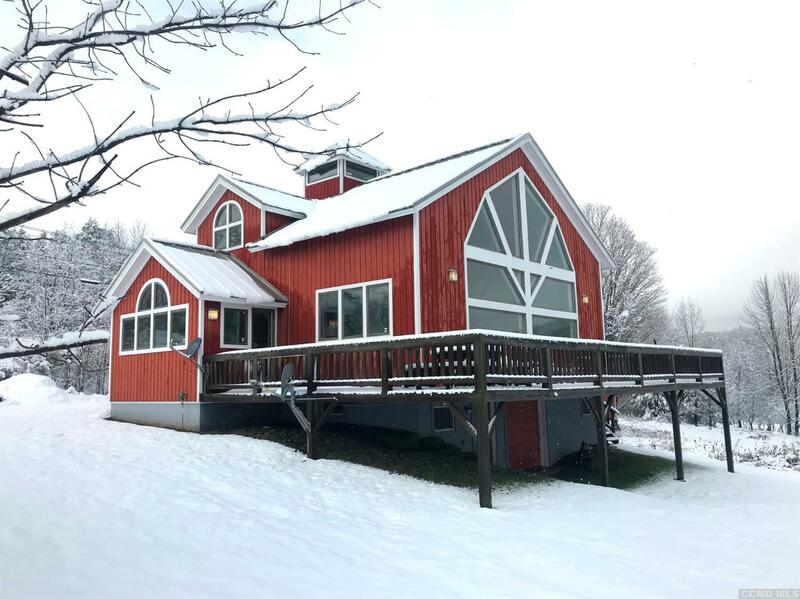 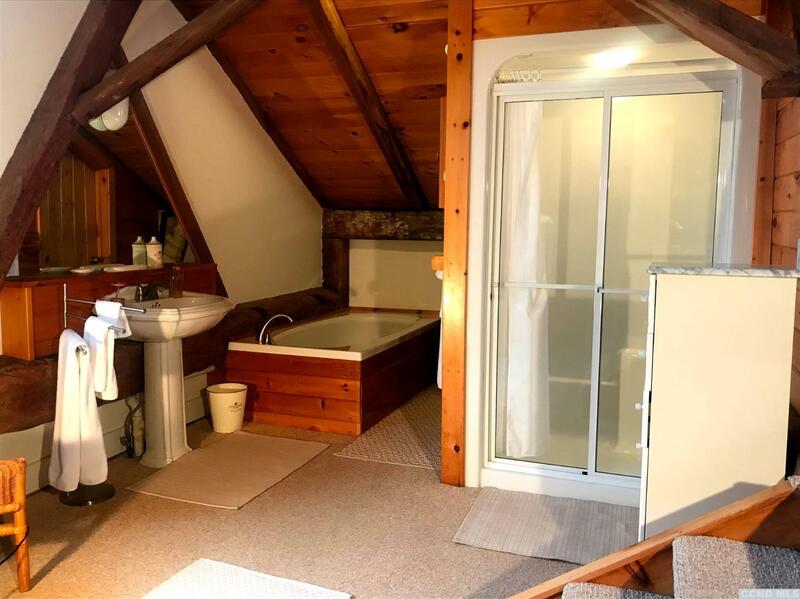 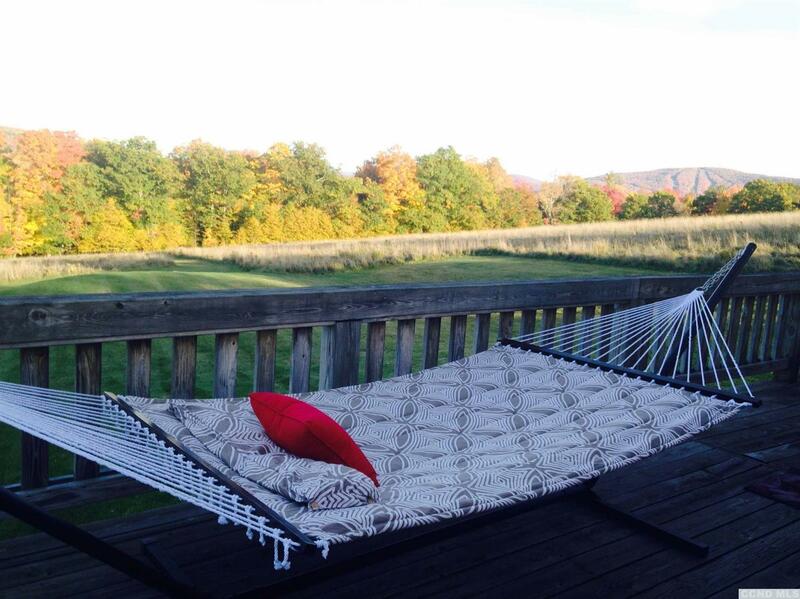 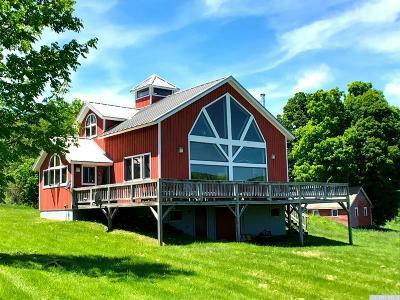 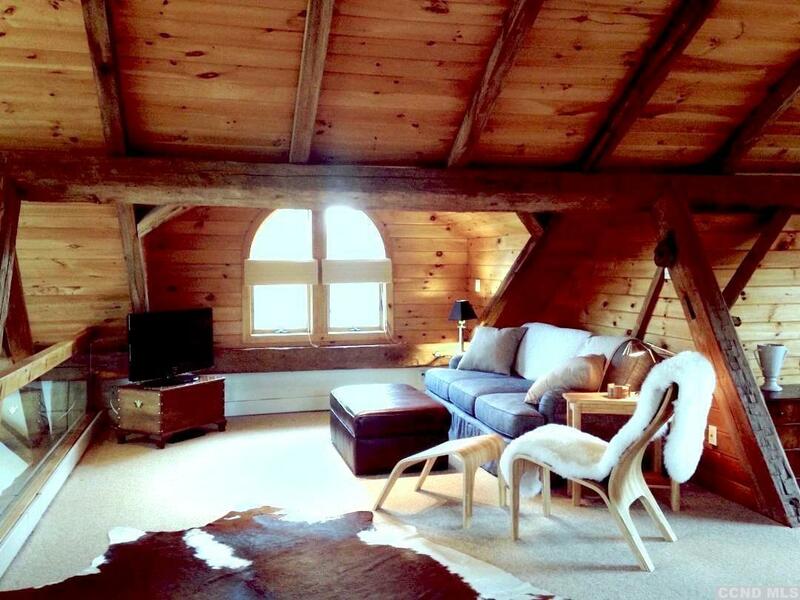 Its now your chance to own this stunning 18th century English barn on 5.2 acres surrounded by NYS land. 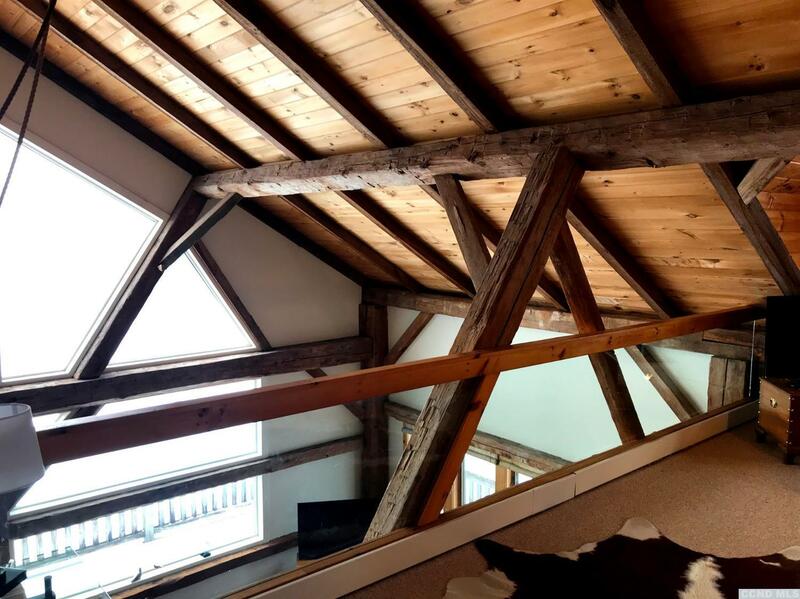 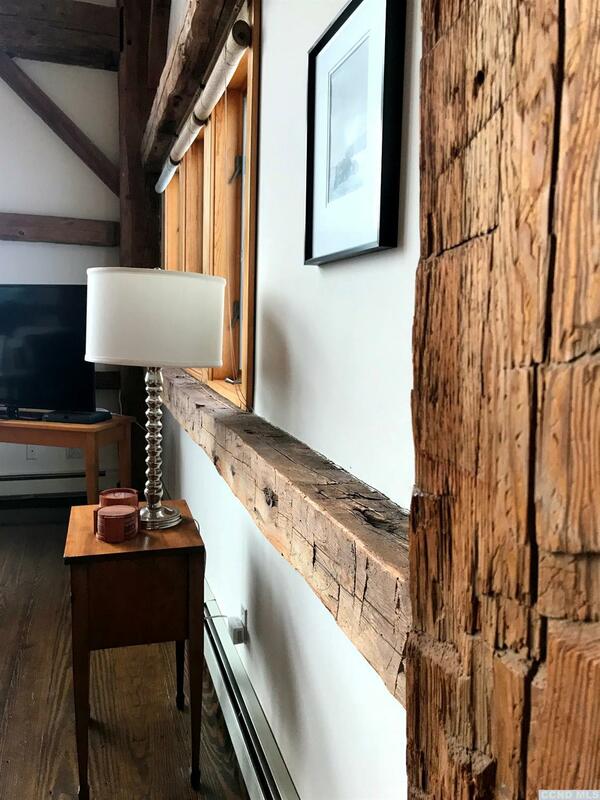 Every inch of this light-filled home has been mindfully renovated to preserve the timeless beauty of the original hand-hewn beams and timber peg construction while embracing contemporary open-concept living. 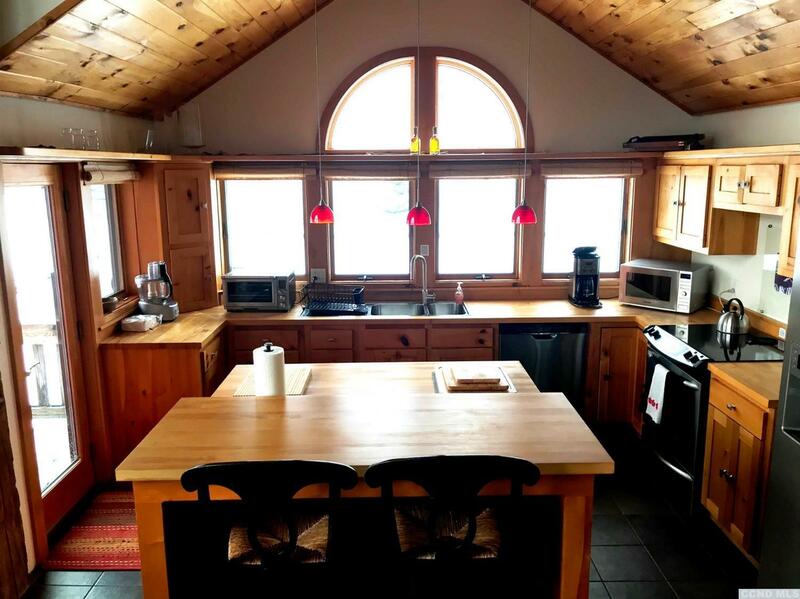 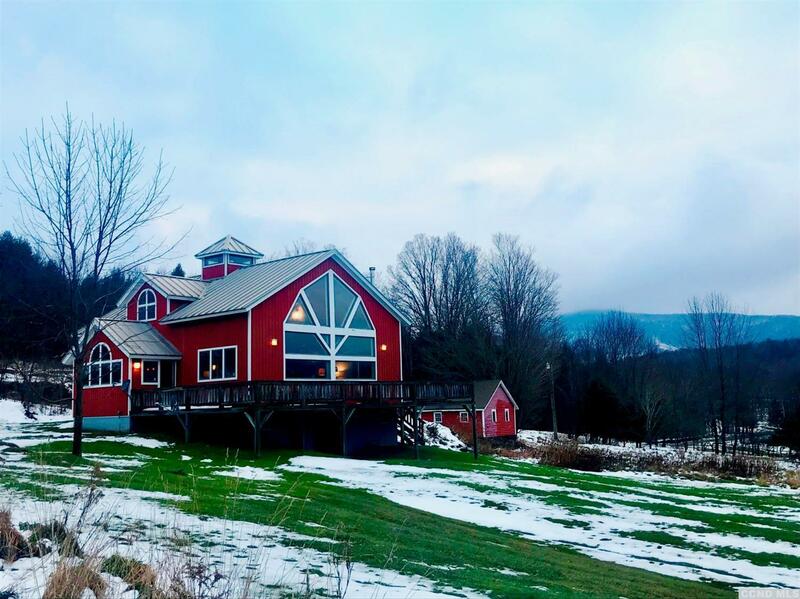 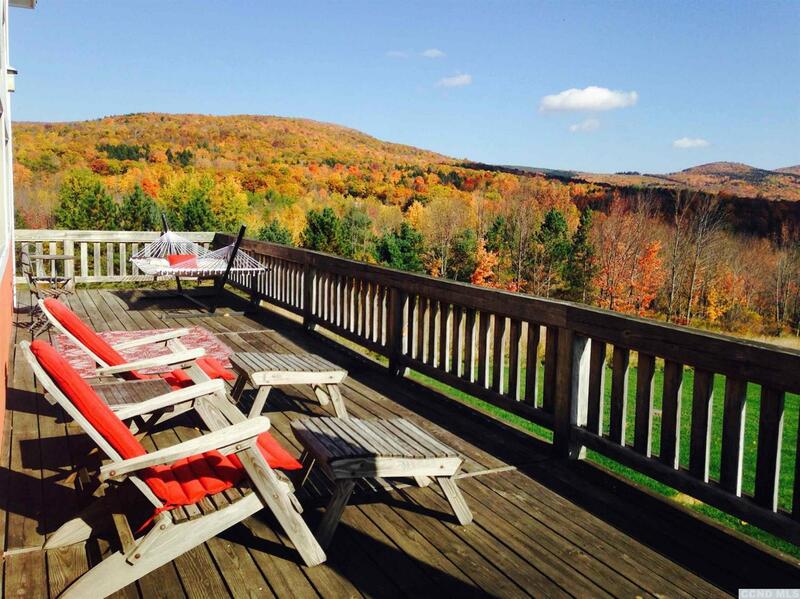 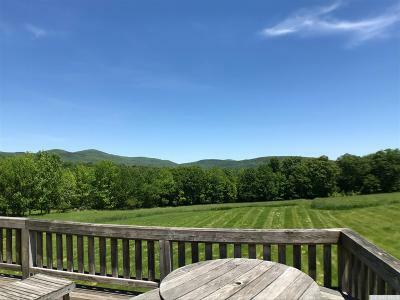 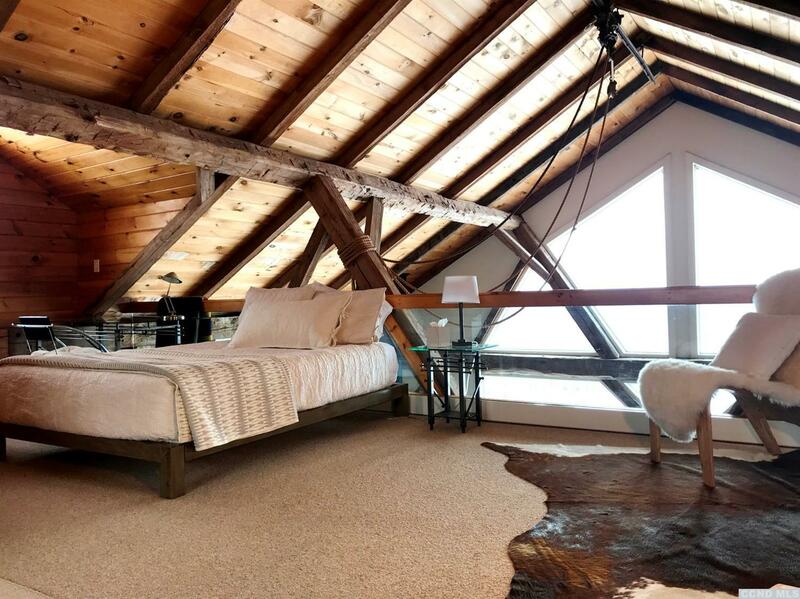 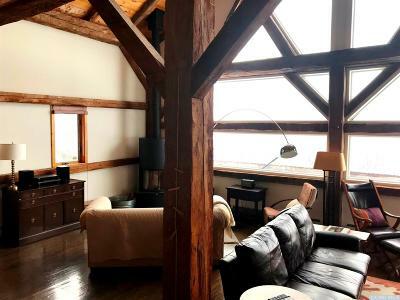 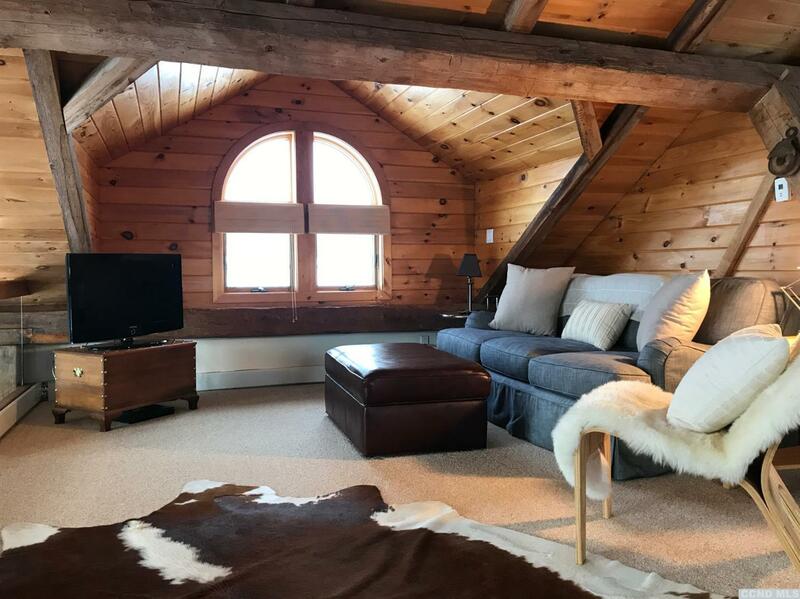 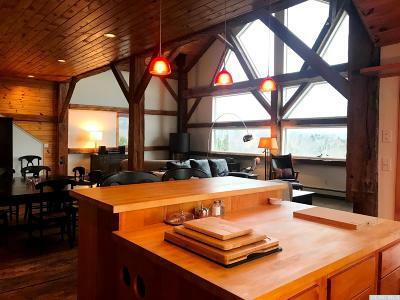 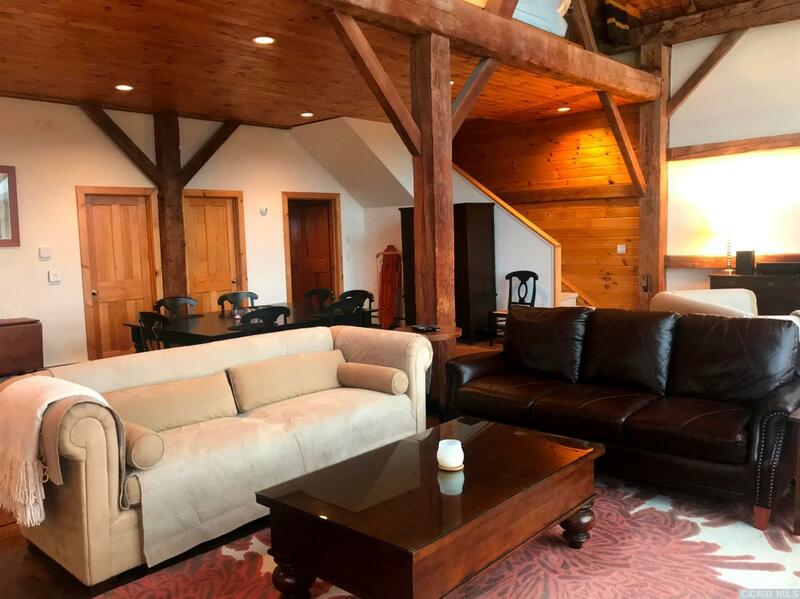 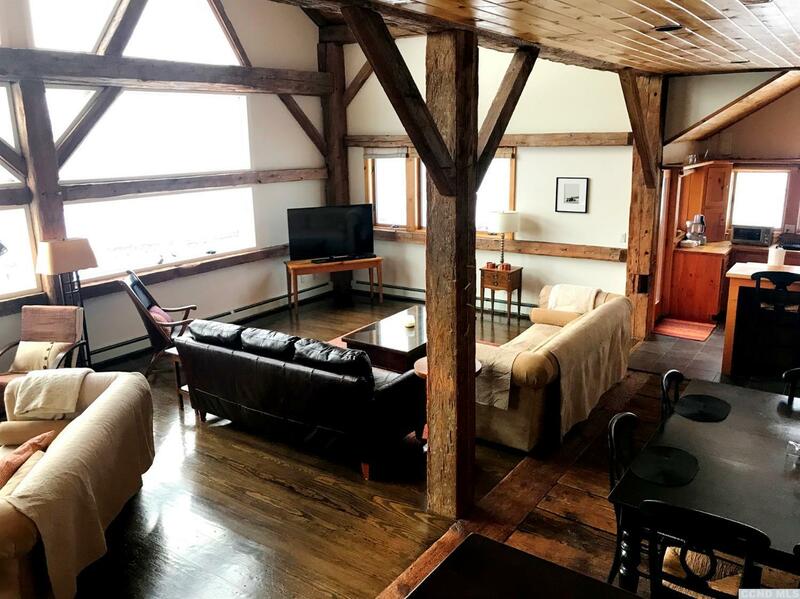 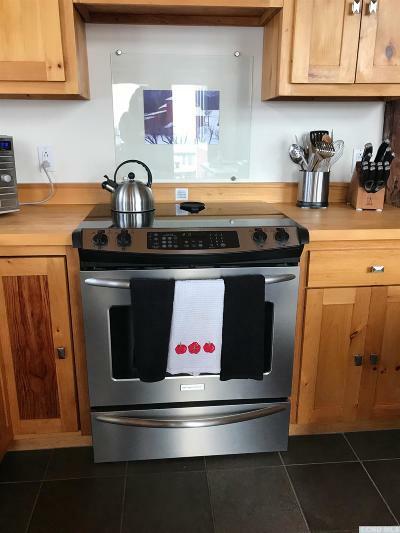 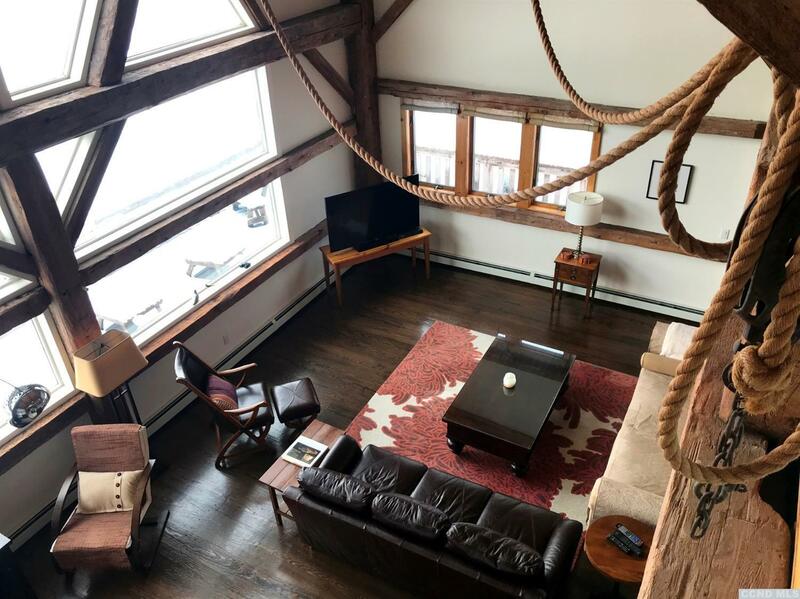 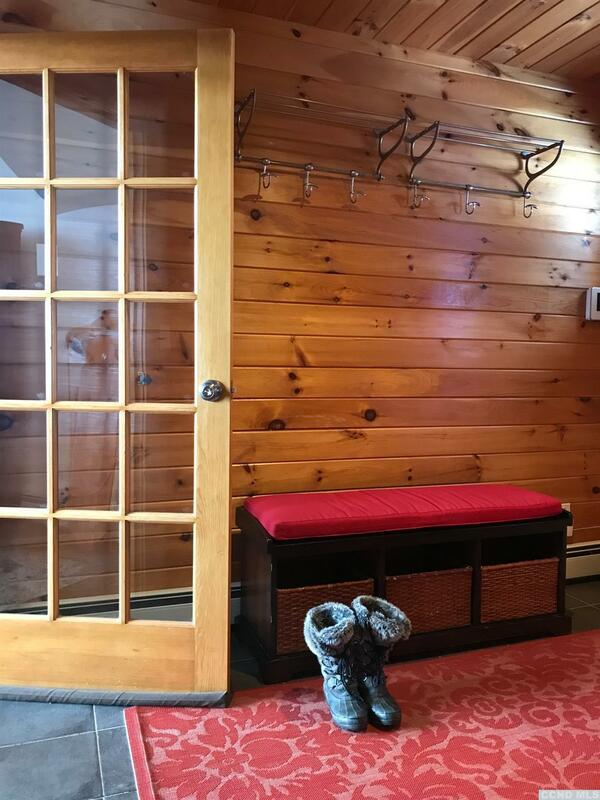 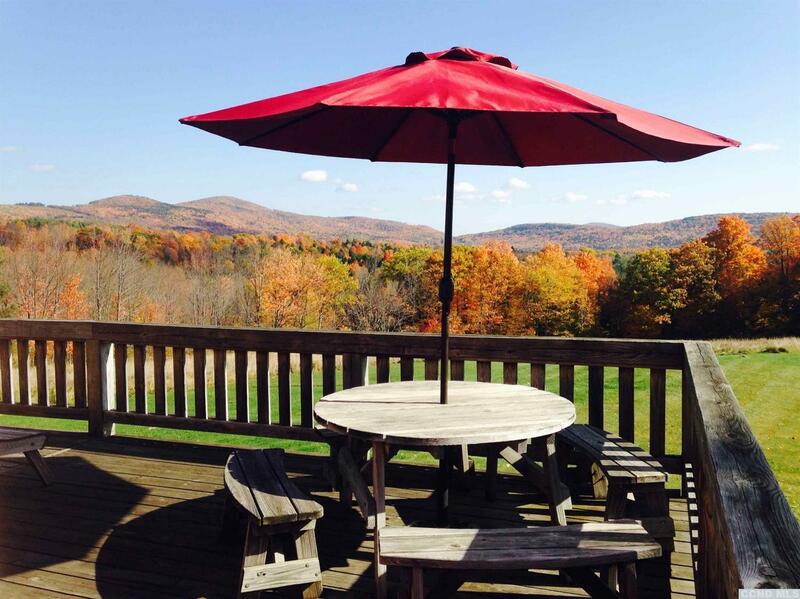 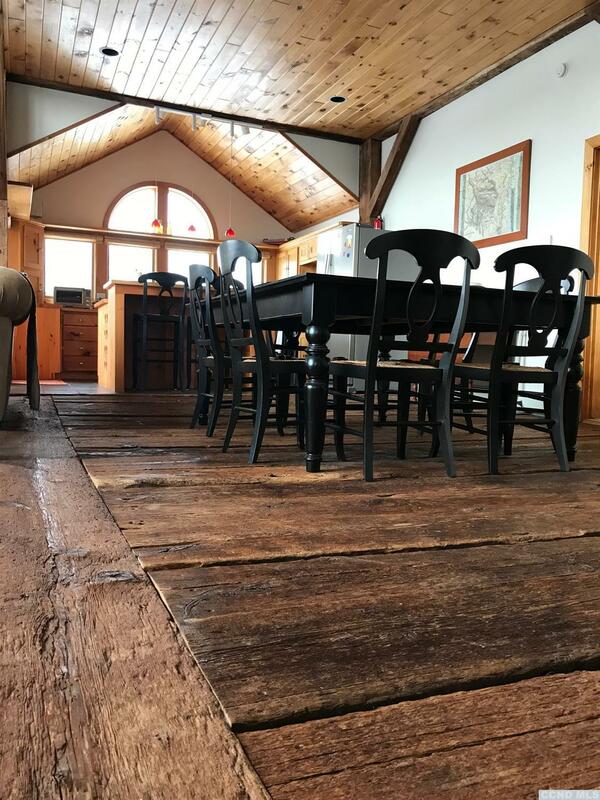 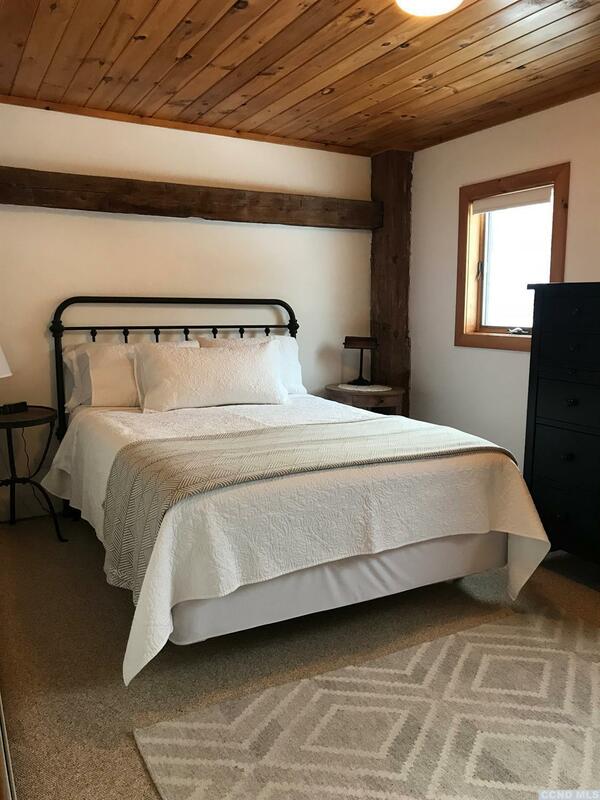 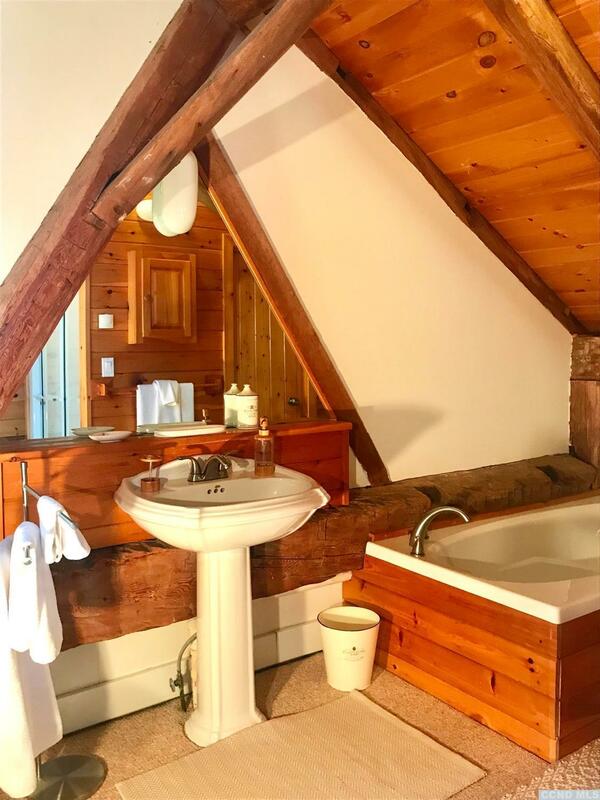 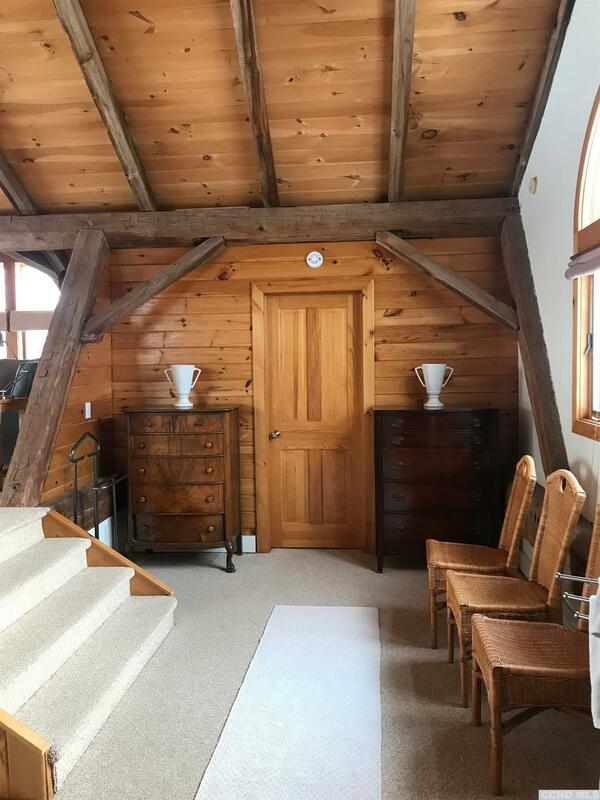 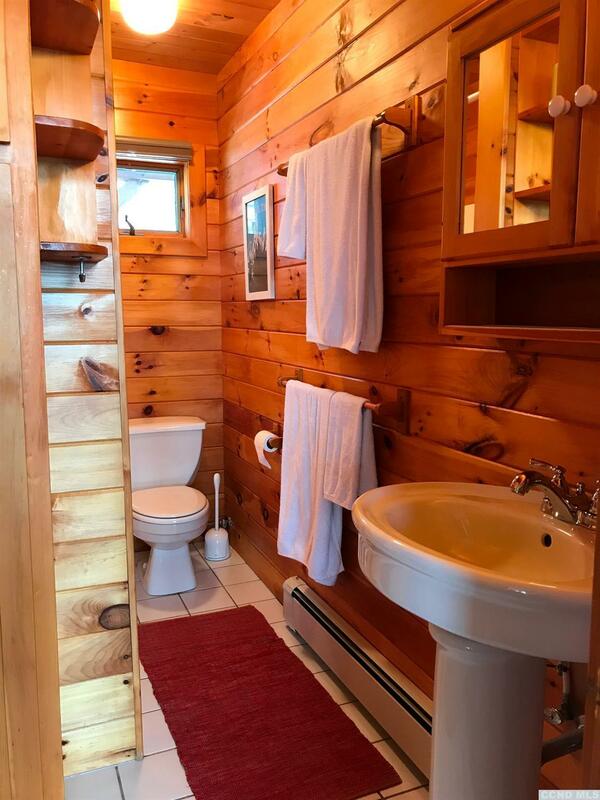 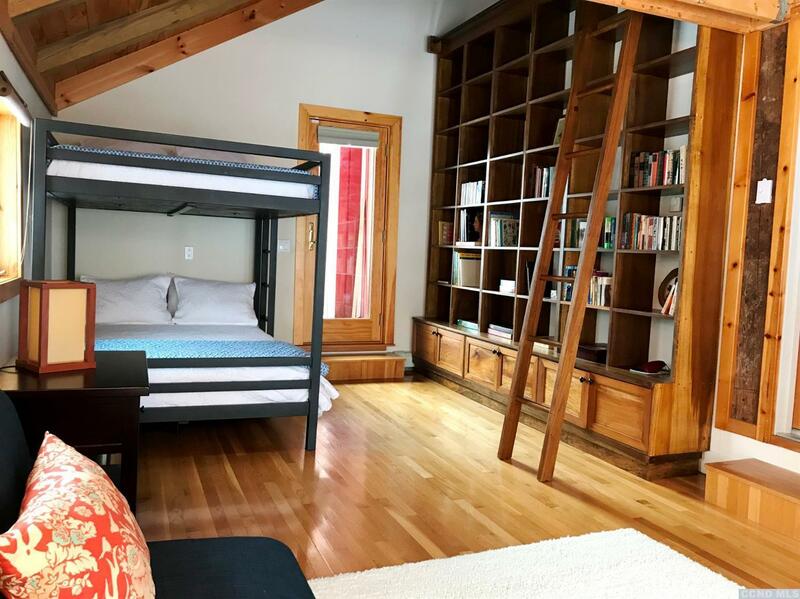 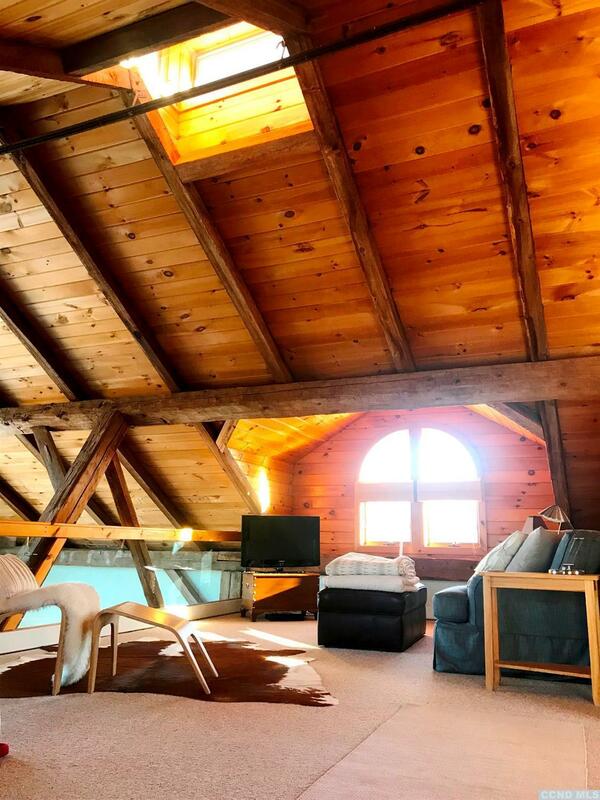 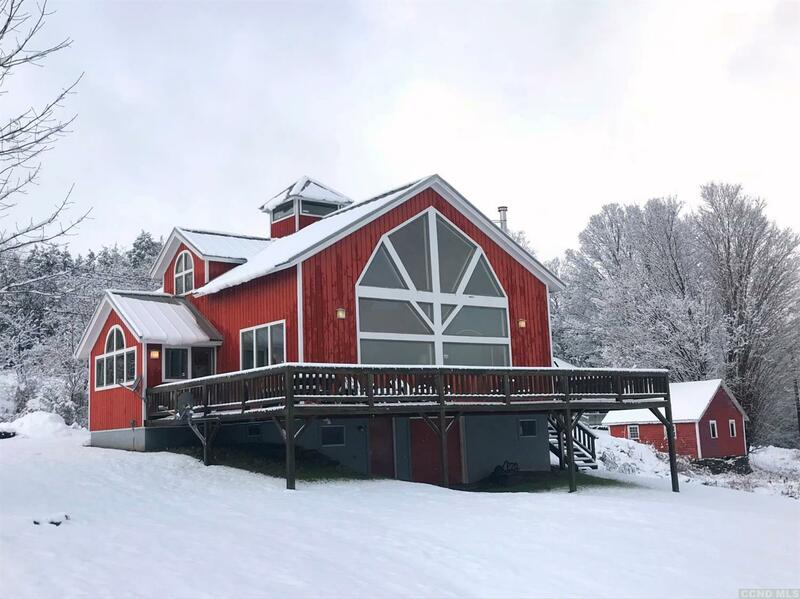 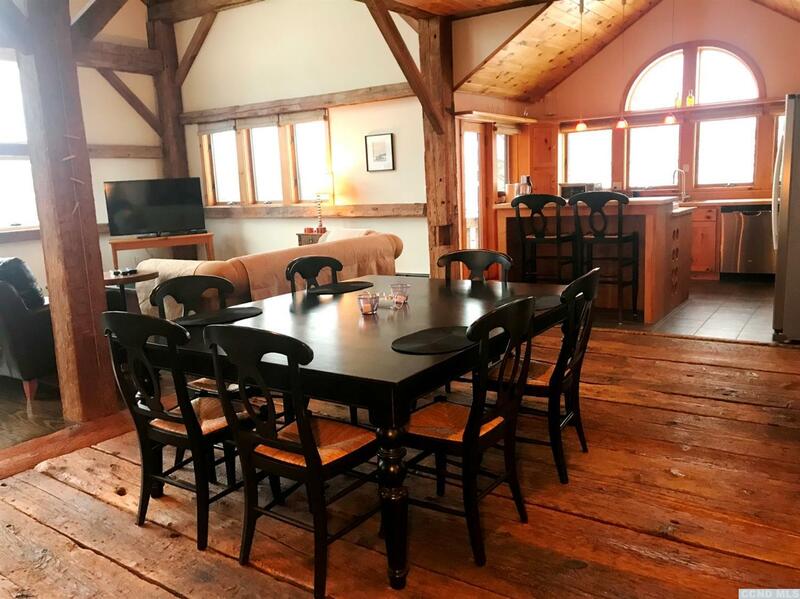 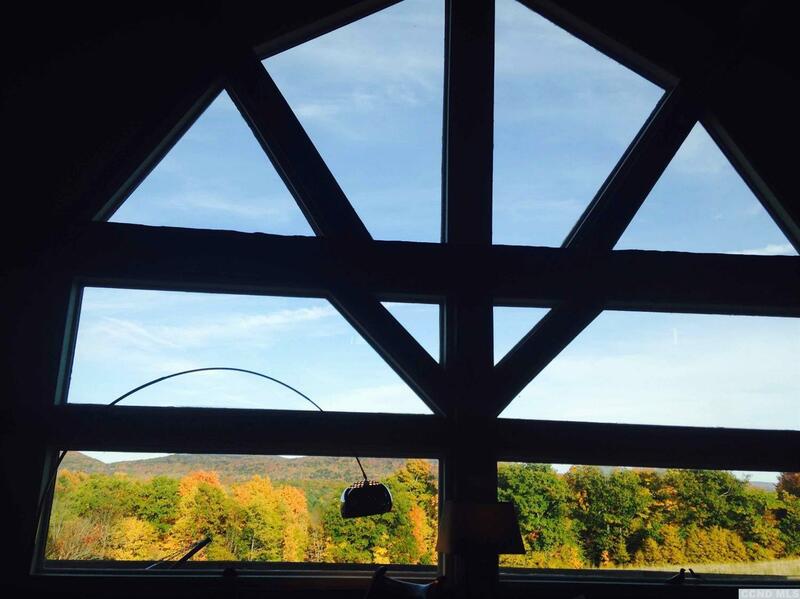 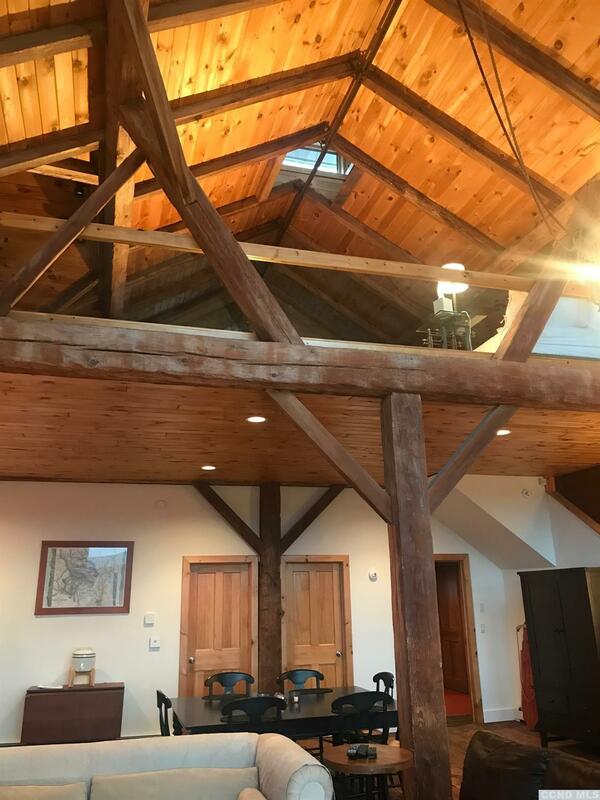 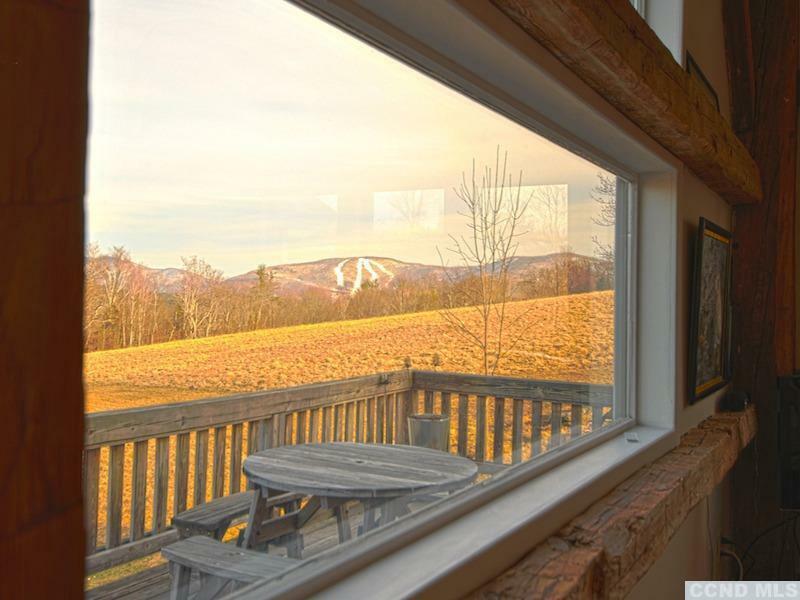 Enjoy ever-changing vistas of Windham Mountain ski slopes through the huge wall of windows, 24-foot ceilings, a Danish Scan fireplace for cozy evenings around the fire, and a 60-foot wraparound deck. 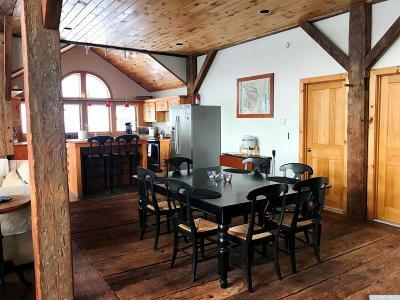 Wide-plank Hemlock flooring from the original structure graces the Dining Room, and Maple butcher-block counter tops complement the Stainless Steel appliances and pendant lighting. 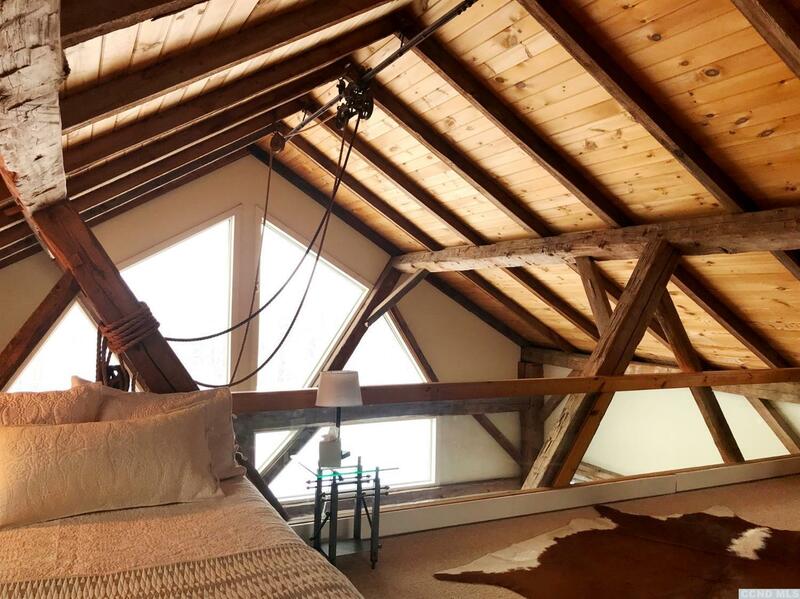 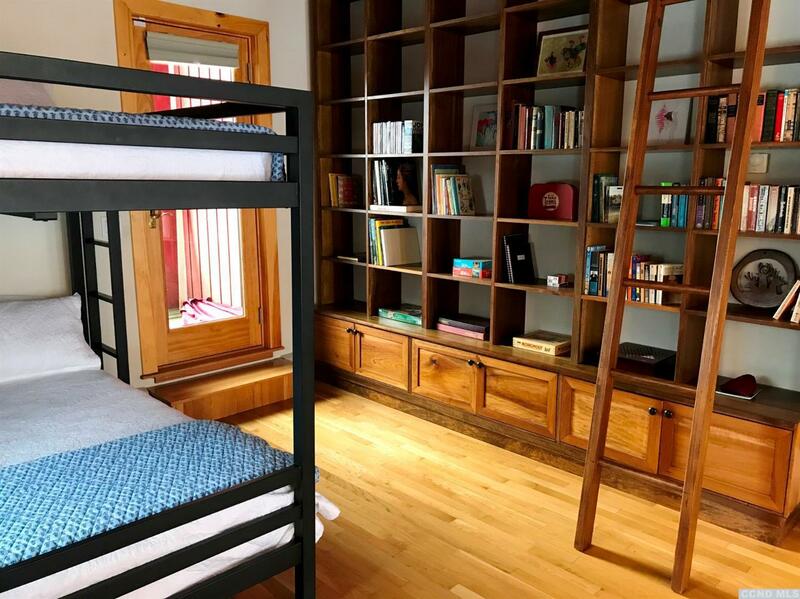 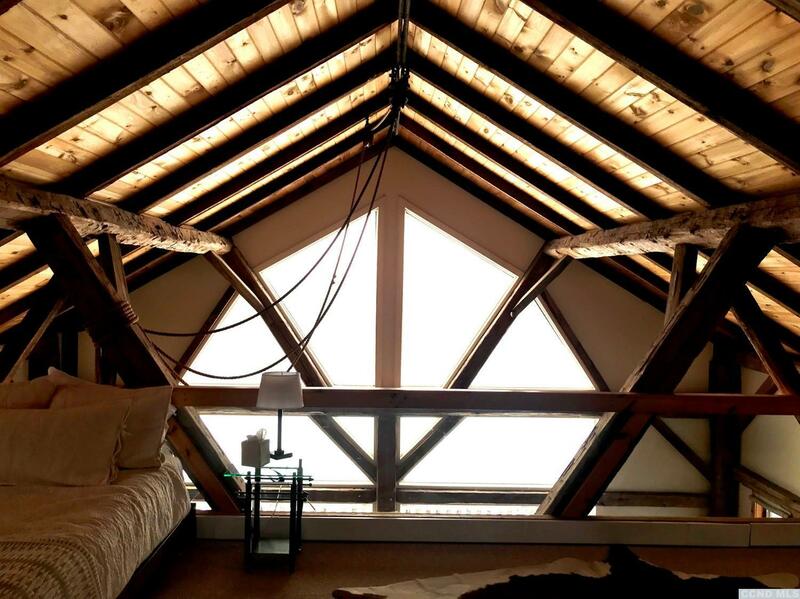 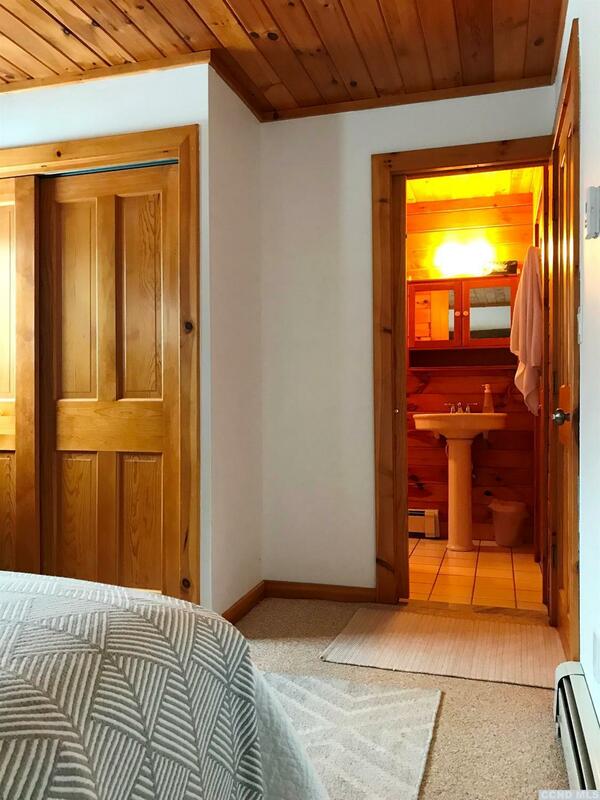 Relax in the lofted Master Suite with its private sitting area, spa tub, walk-in closet, and vented cupola. 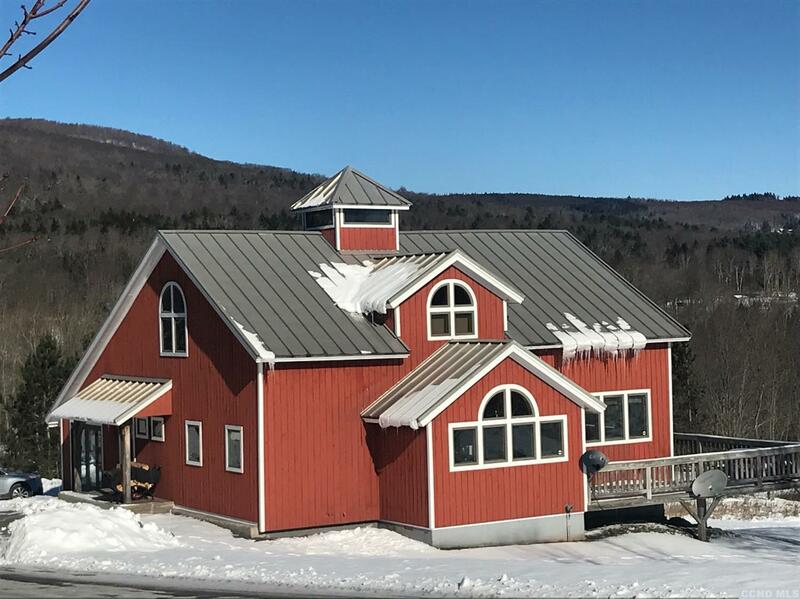 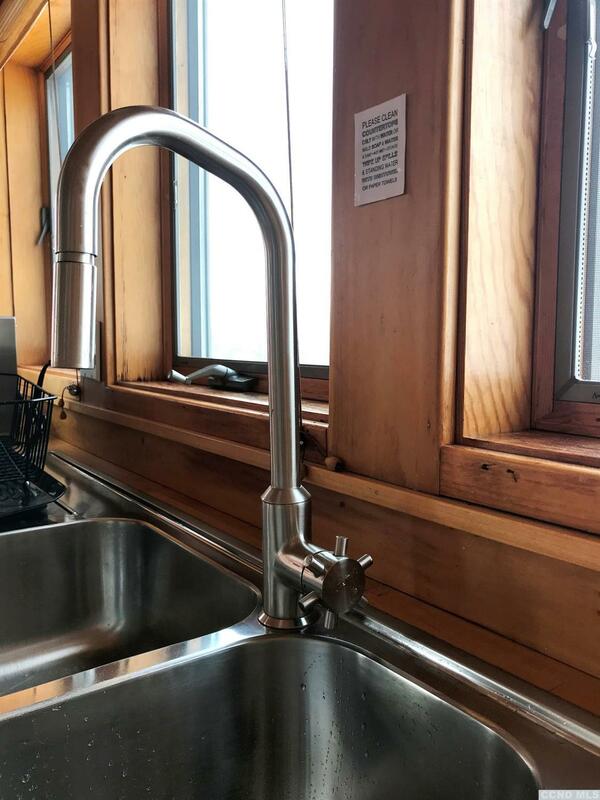 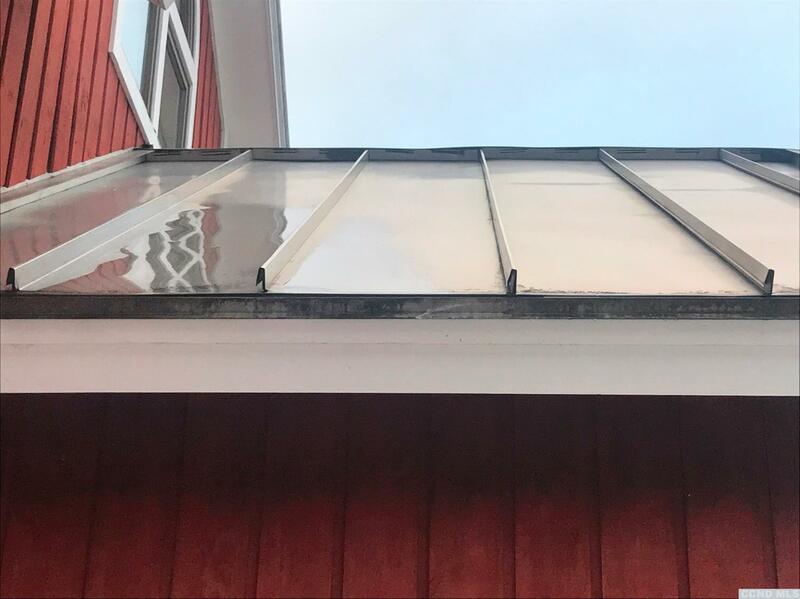 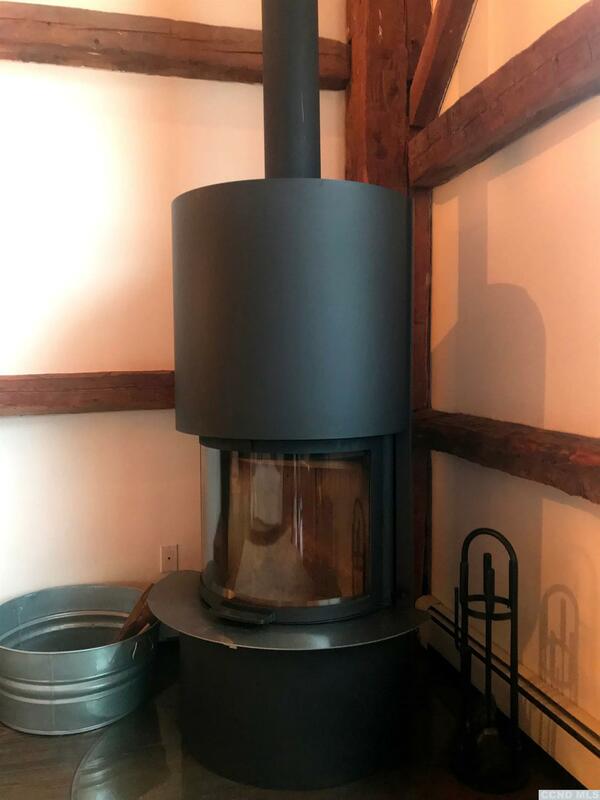 With a galvanized standing seam metal roof, a brand-new high-efficiency heating system, propane boiler, & 500-gallon underground tank, this is a turn-key property!